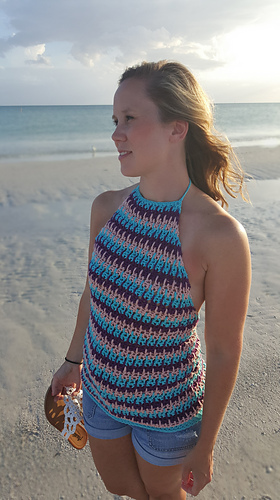 11 stitches and 8 rows = 3.5"
The Beachy Babe Halter Top is perfect for summer! Use it as a swim suit cover up or dress it up for date night! This pattern includes both children’s and adult sizes so you can make one for you and your mini me!